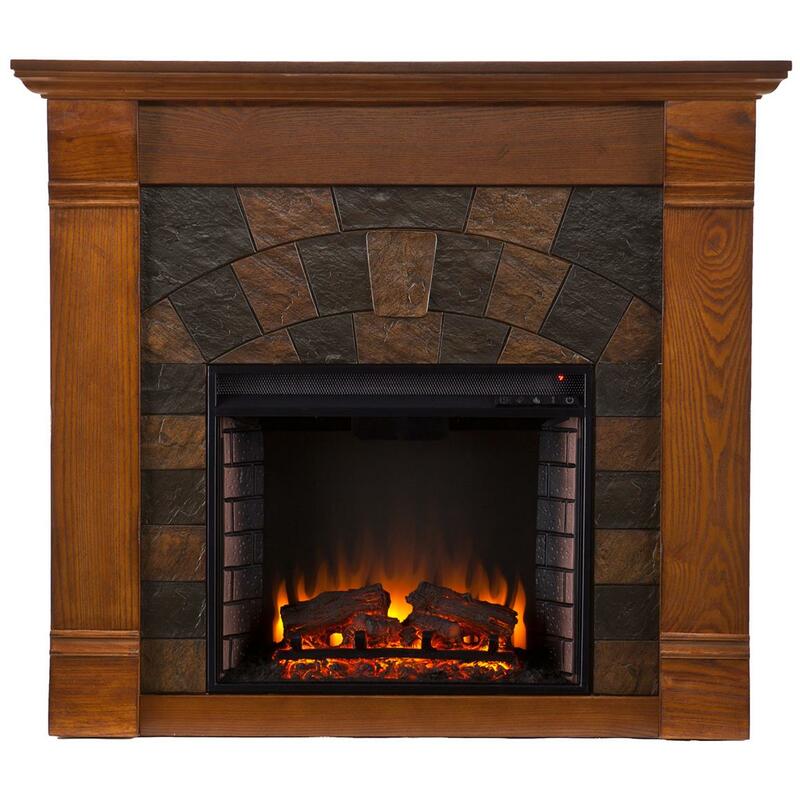 Underwood Electric Fireplace adds a modern accent to warm your home! 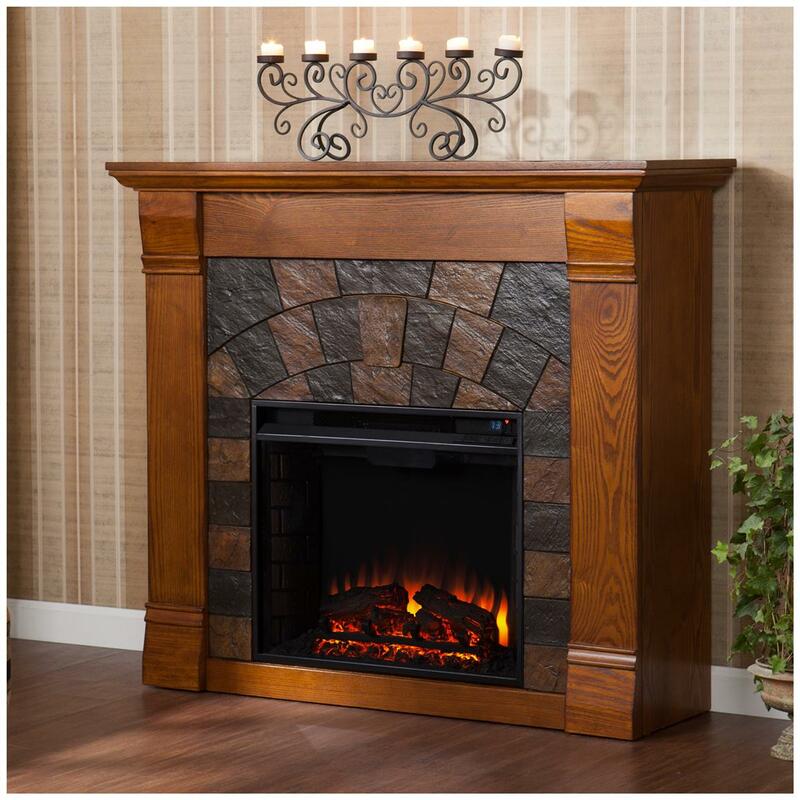 Beautifully rustic, this Underwood Electric Fireplace exudes character and style. The stunning wood grain is enhanced with a distressed effect in the form of worm holes, small scratches and imperfections that make each piece unique. Imitation slate front has a gorgeous panel of tiles that arch across the front to create a masterpiece. Extremely portable, and easy to install... no electrician or contractor required! Just plug it in for a fabulous fire! Great for a living room, bedroom or sitting room... even has room for your 42" flat screen TV! Measures: 40" x 14 1/2" x 45 1/2"h.